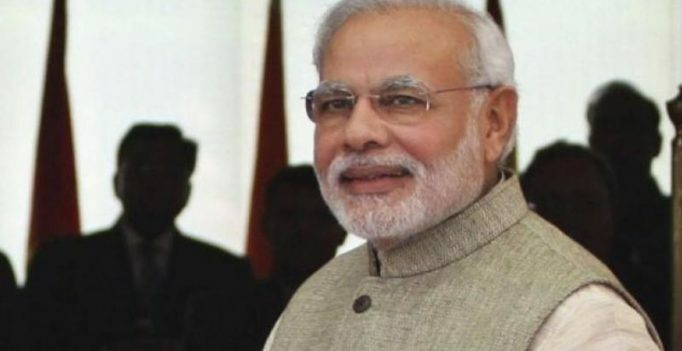 New Delhi: Prime Minister Narendra Modi on Wednesday hailed scientists for the successful launch of 104 satellites on board a single rocket from the spaceport of Sriharikota. ISRO chief A S Kiran Kumar said at the mission control centre at Sriharikota that the Prime Minister has congratulated the space agency team for the successful launch. 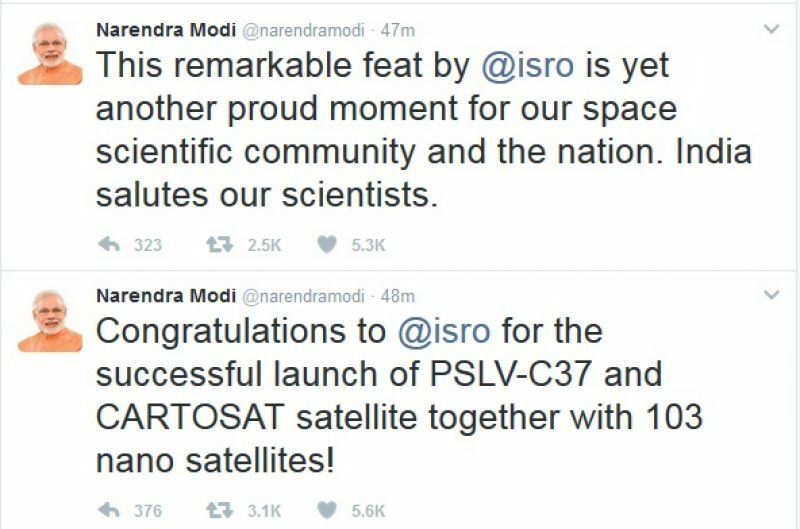 “Congratulations to @isro for the successful launch of PSLV-C37 and CARTOSAT satellite together with 103 nano satellites!,” the Prime Minister said in a tweet. “This remarkable feat by @isro is yet another proud moment for our space scientific community and the nation. India salutes our scientists,” he said. Indian Space Research Agency this morning successfully launched a record 104 satellites on a single rocket from the Sriharikota spaceport in Andhra Pradesh.